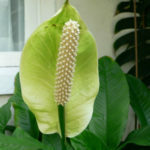 Spathiphyllum floribundum (Linden & André) N.E.Br. 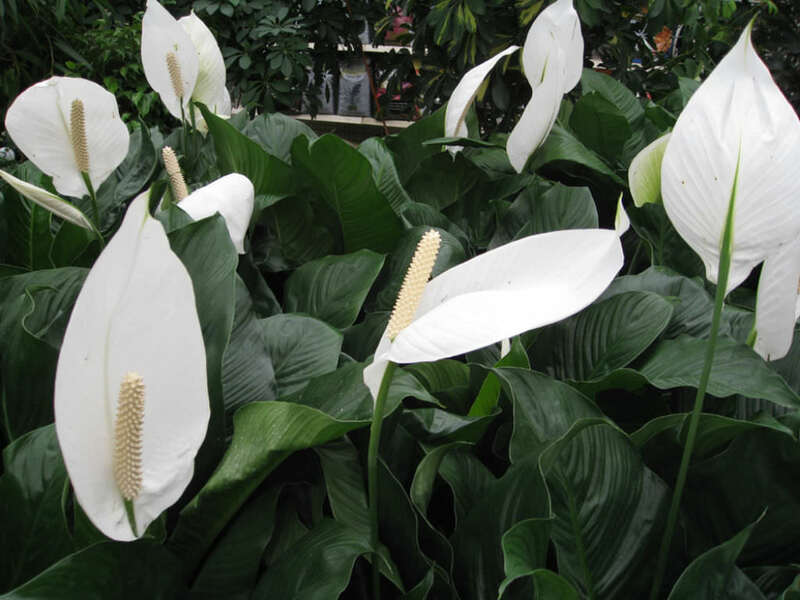 Spathiphyllum floribundum is a herbaceous, perennial plant. The leaves are oval to lanceolate, up to 8 inches (20 cm) long and up to 3.6 inches (9 cm) wide. 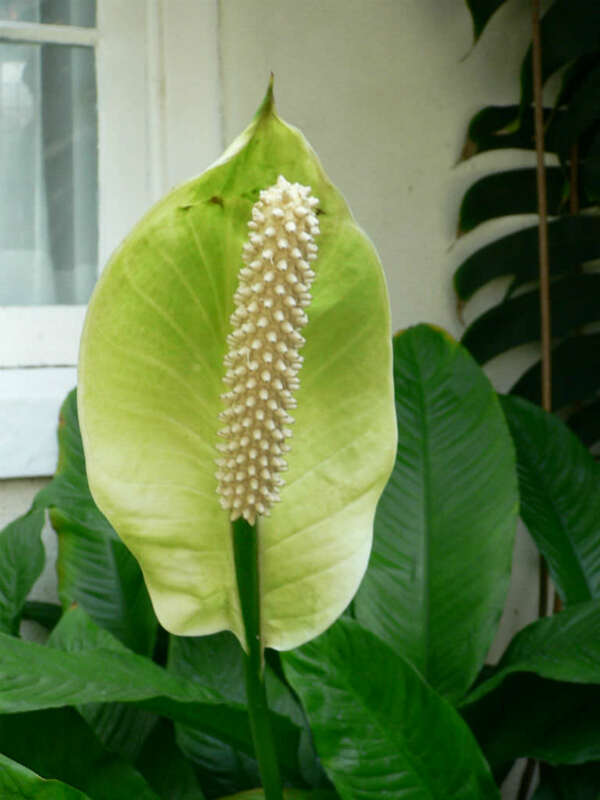 The flowers are produced in a spadix, surrounded by a up to 8 inches (20 cm) long, greenish- or yellowish-white spathe. 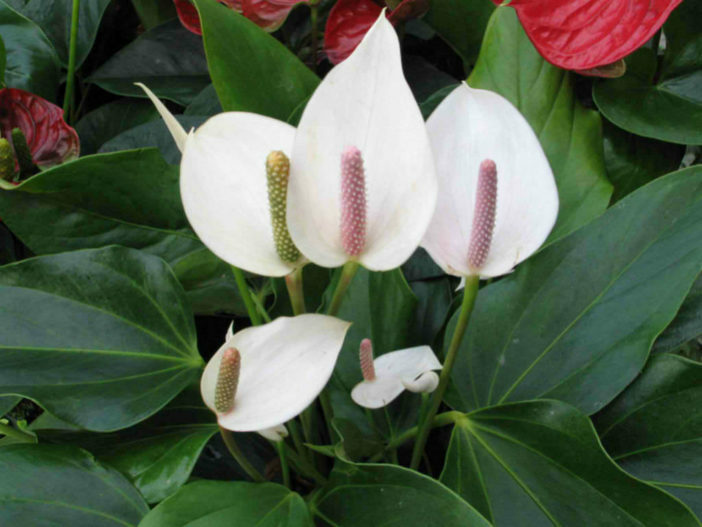 Peace Lilies like indirect light and shade, making them ideal for indoor environments. They’re even known to do well in offices with fluorescent lights and no windows! South- or west-facing windows tend to be the best locations for Peace Lilies, providing the right mix of light. 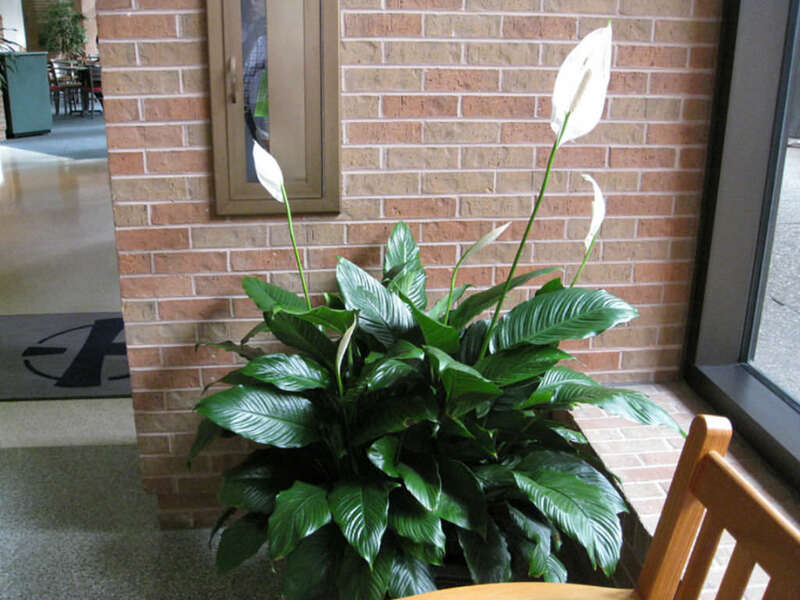 Your Peace Lily will tell you if it’s getting too much light. Yellow leaves indicate too much light, while brown streaks are a sign of scorching from direct sunlight. Move your Peace Lily if its leaves exhibit these signs. 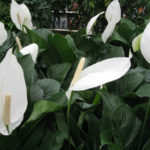 Peace Lilies are more tolerant of under-watering than over-watering. Keep plants evenly moist by watering when soil feels dry to the touch. Take care not to over-water. If your tap water has a lot of chlorine, leave it out overnight to allow the chlorine to evaporate. 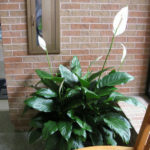 Peace Lily leaves also enjoy a good misting, which you can do when you water throughout the summer. Native to northwestern South America from Panama east to Venezuela and south to Peru.